Crystallization liquid for shine maintenance on marble and lime-based surfaces. 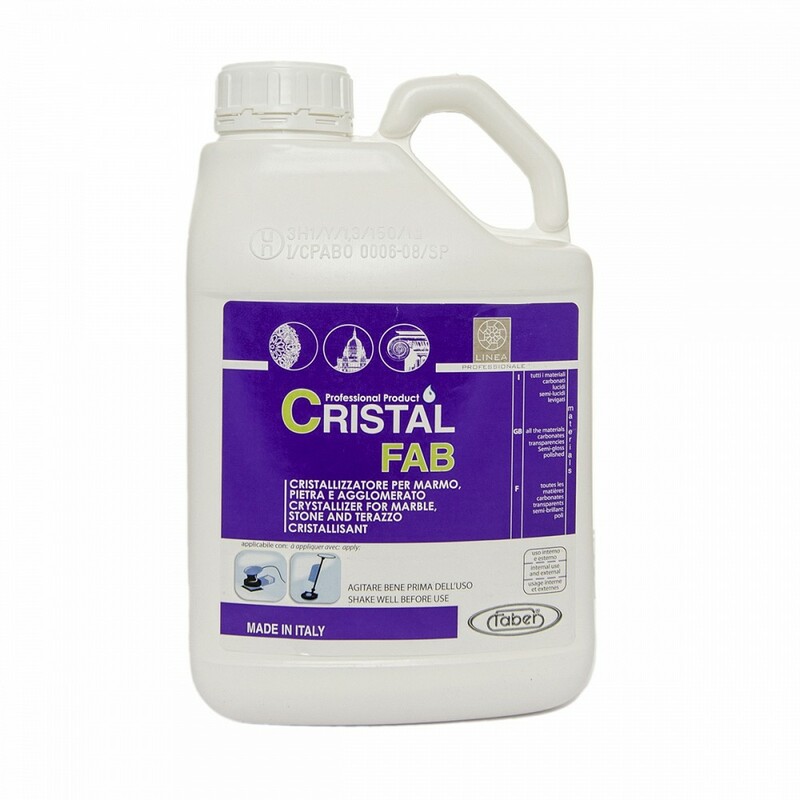 CRISTALFAB is a ready-for-use, low-acidity liquid product to crystallize marble or lime-based surfaces. Crystallization is a specific treatment that restores shine to lime-based surfaces when they have lost a part of their original glossy finish, generally due to wear or to high levels of foot traffic. CRISTALFAB restores deep shine to the surfaces on which it is used, without causing yellowing or greying, or even the annoying pitted, “orange peel” effect. CRISTALFAB is quick and easy to apply using the Spray Buffing technique. It boosts surface resistance to scratching without causing any differences or blemishes from overlapping and unlike many other crystallization products available on the market, it does not leave a slippery finish on the surface to which it is applied. CRISTALFAB represents a valid solution for polished surface maintenance as it can restore a gloss finish to a material with a quick and easy process, increasing resistance to scratches, and therefore, reducing the number of routine maintenance operations required. Constant use of CRISTALFAB as part of a maintenance programme prevents deep-down damage to the surface, significantly delaying the need to carry out costly, complex interventions of mechanical polishing and buffing to restore shine.